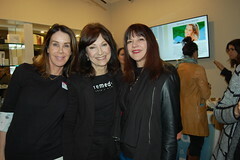 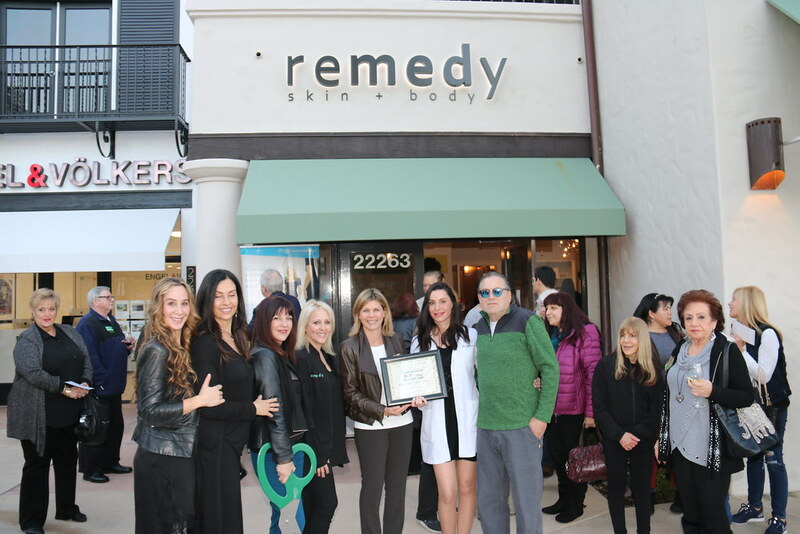 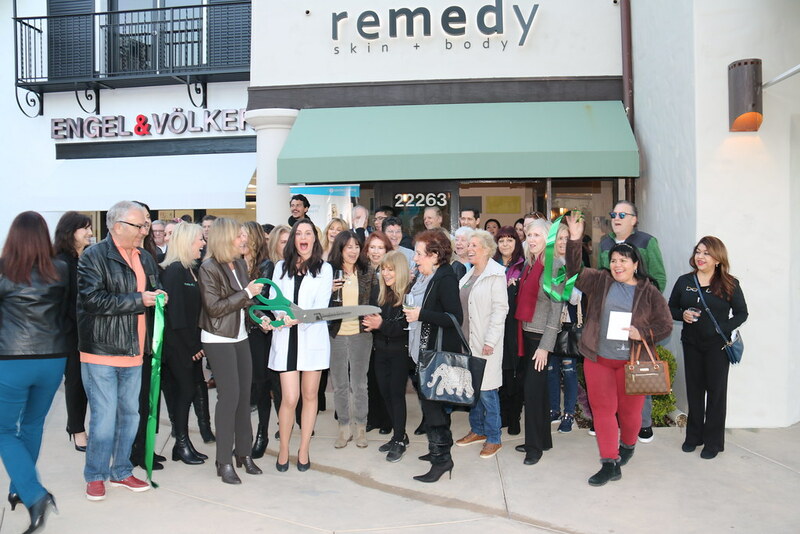 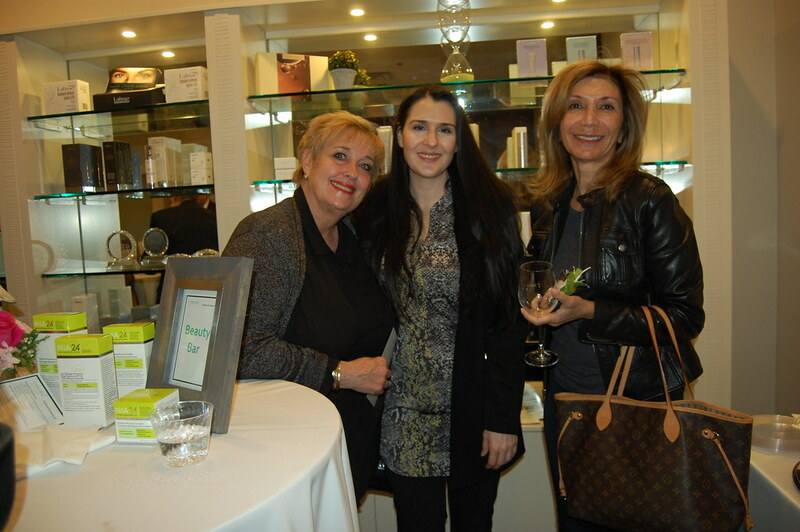 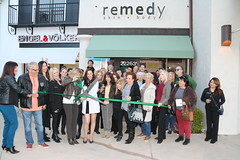 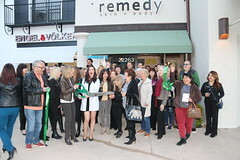 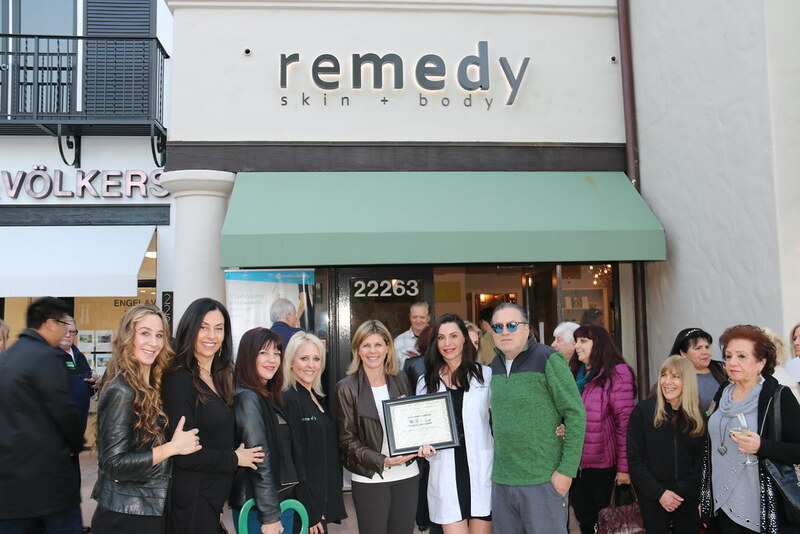 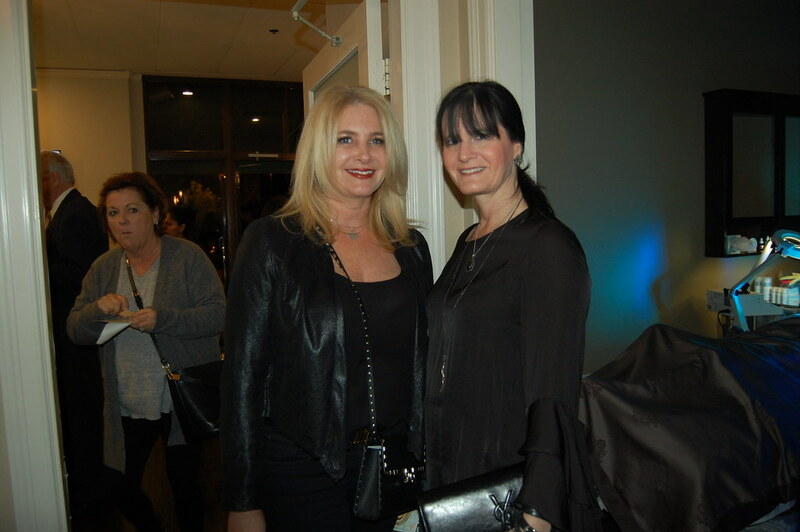 Remedy Skin + Body’s Calabasas location hosted a Night of Beauty mixer to celebrate its ribbon cutting with the West Valley – Warner Center Chamber of Commerce on Thursday, February 7. 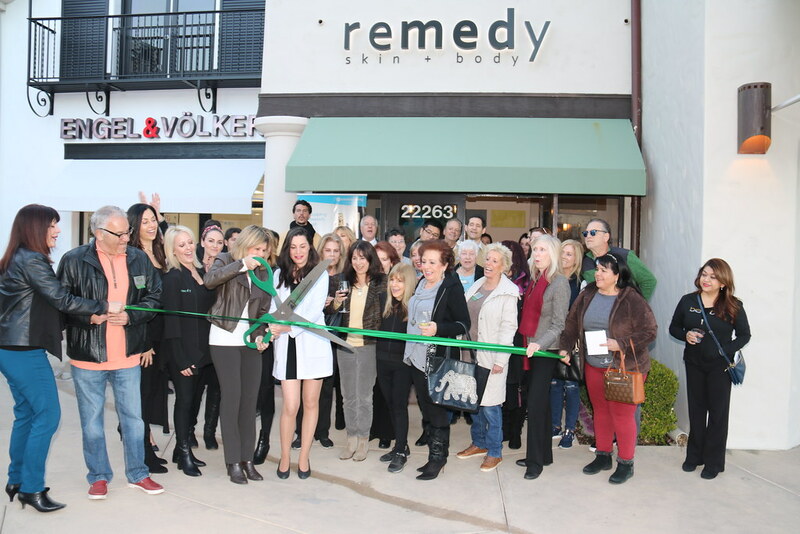 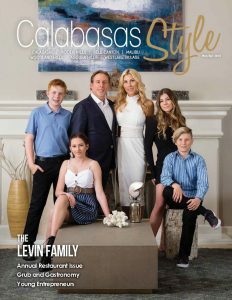 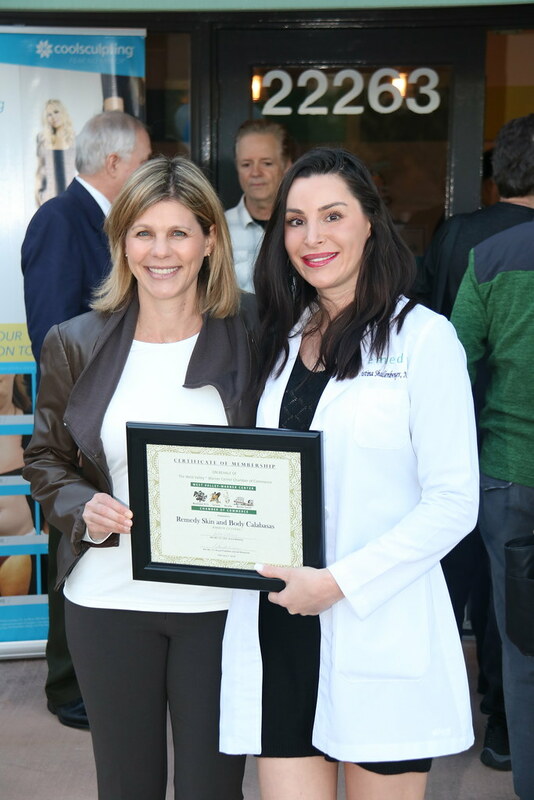 Dr. Talia Emery, founder of Remedy, and Christina Shallenberger, nurse practitioner, thanked Robert Goodman for the warm welcome to the Calabasas community during the official ceremony. 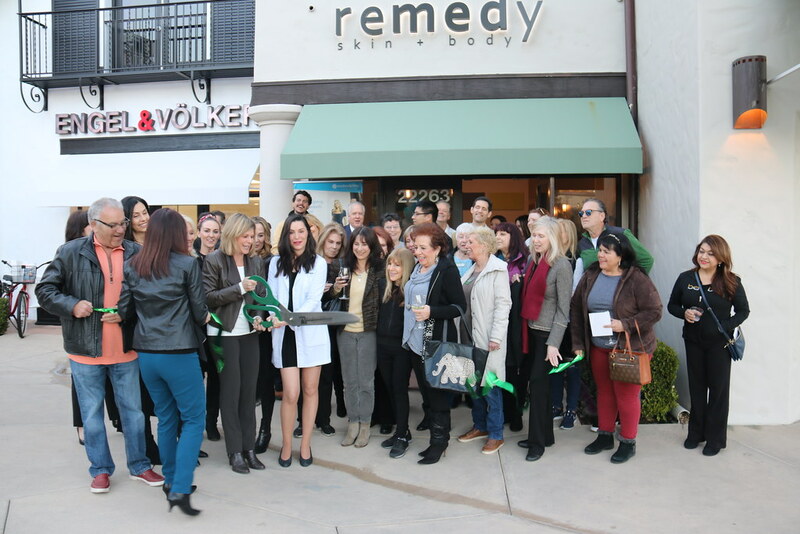 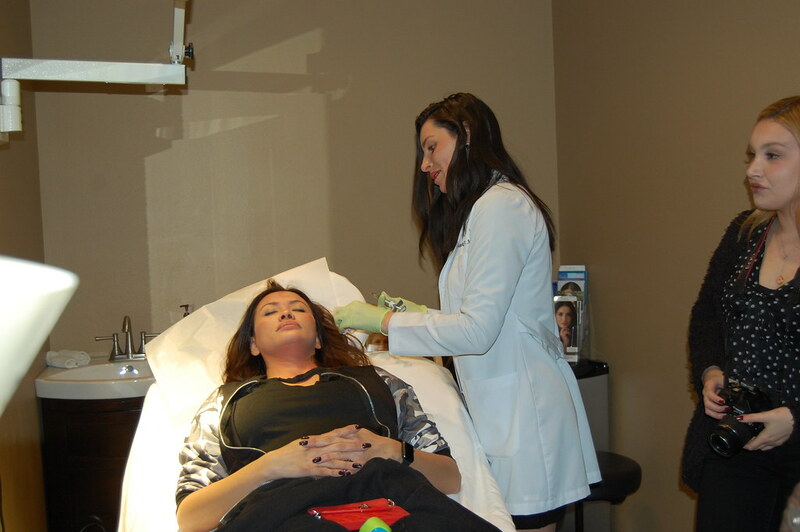 Remedy staff, including nurse practitioners and estheticians, showed off the latest trends in skincare and noninvasive esthetic treatments, including live demonstrations of Botox, Voluma, Ultherapy, CoolSculpting, IPL and laser treatments, Hydrafacial, and medical-grade skincare. 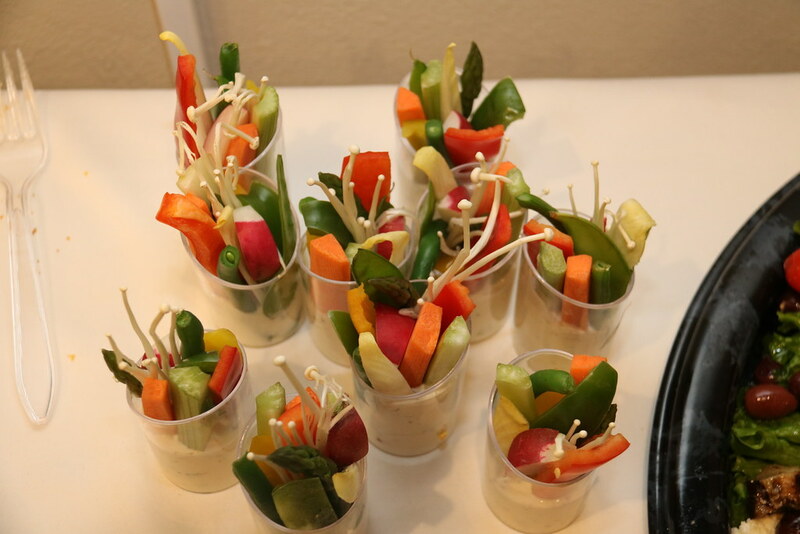 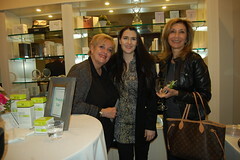 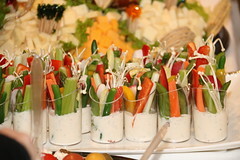 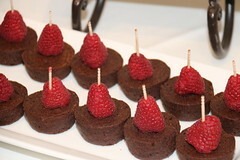 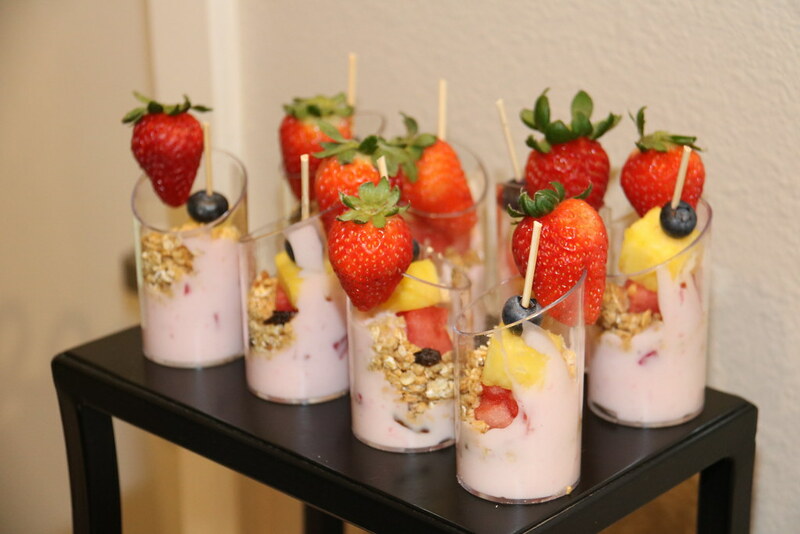 Guests enjoyed wine, hors d’oeuvres, and dessert along with special product and facial giveaways throughout the evening. 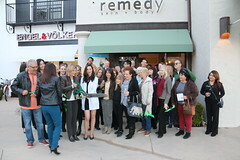 Complimentary consultation appointments were made as the community was excited to learn how the Remedy experts could make them look as good as they felt in a natural, healthy way. 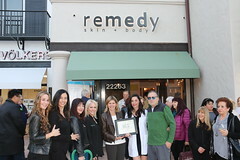 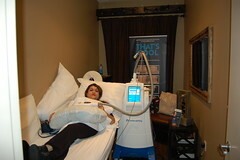 For more information or to book an appointment, visit remedyskinandbody.com.